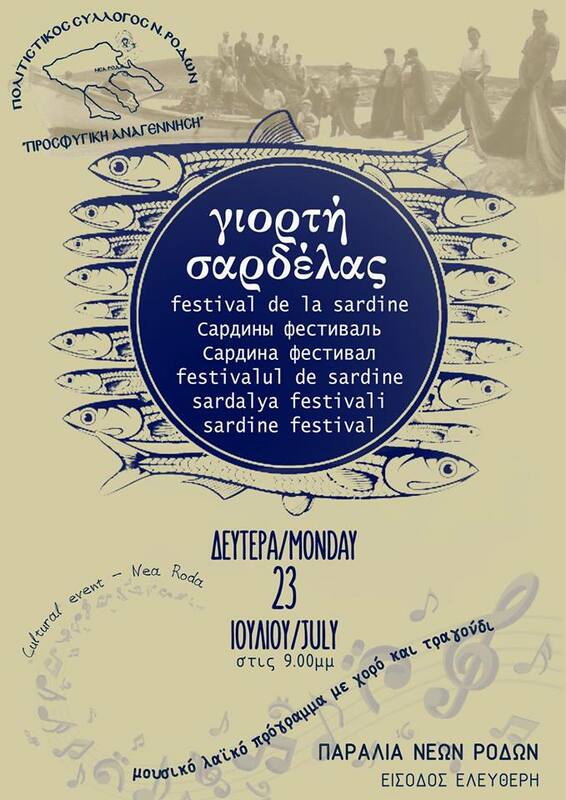 Every year, by the end of July, the Cultural Association of Nea Roda is organizing the popular Sardine Festival. The Sardine Festival in Nea Roda is an essential ritual, more than a tradition. The sardine is perhaps Halkidiki’s most representative food, and in Nea Roda you can try all kinds and prepared in a thousand different ways. The most typical are grilled sardines, which you can savour in one of Halkidiki’s most popular festivities: the Sardine Festival in Nea Roda. To honour this tasty bite of the sea, this celebration maintains all the traditions of a local feast where guests are being offered grilled sardines, plenty of house wine and of course, music.